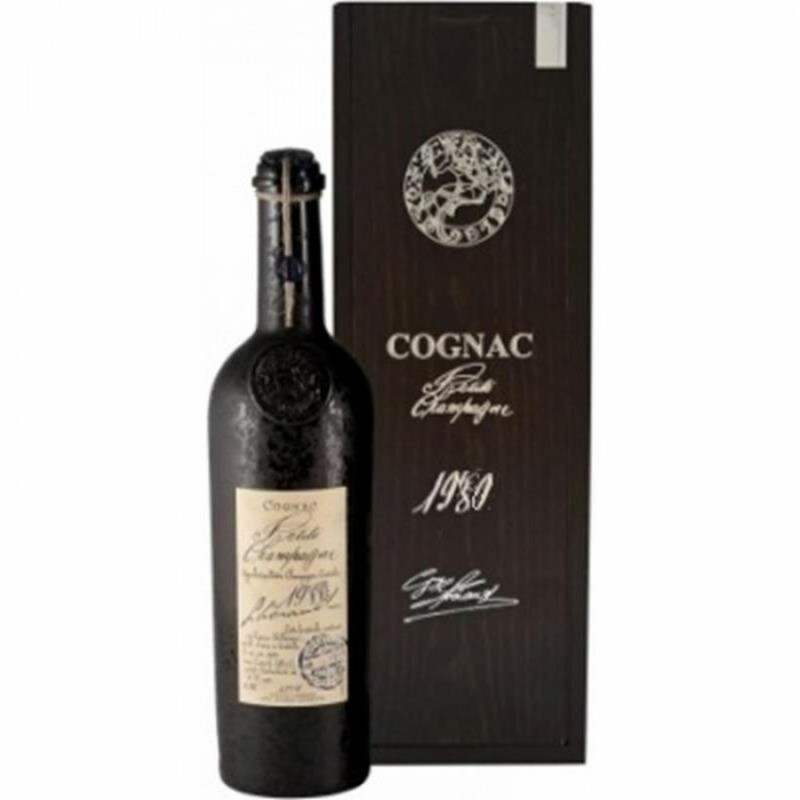 The Lheraud Vintage 1980 Petite Champagne Cognac from this innovative house is one of a range of wonderful vintages from a Cognac producer that's fast becoming a firm favorite with those who seek out craft Cognacs. The house of Lheraud's owners, Andrée and Guy, pride themselves in producing vintage Cognacs such as this, created in the time honored traditions of their family. This delight from the Petite Champagne harvest of 1980 certainly won't disappoint. Round, smooth, yet powerful at 46°, it's sure to hit the spot for any lover of great Cognac. Presented in the house's signature style, dark colored bottle, the mysterious presentation provides tempting hints at what's housed within. The perfect addition to any Cognac collection.